2017 is a big year for one of Detroit’s techno pioneers, Kevin Saunderson. Both he and his legendary KMS Records are celebrating 30 years of techno excellence. And to commemorate, the label is releasing an EP featuring Saunderson collaborations with some of the best techno and house producers out there, including KiNK, Marc Houle and Dubfire. Both KMS’ and Saunderson’s roots stretch back to 1987. 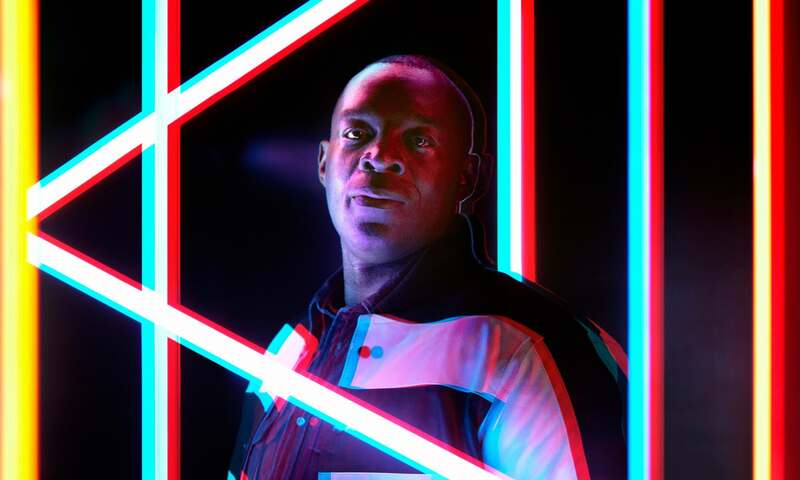 While Juan Atkins and Derrick May stayed close to the underground sounds, Saunderson went on a slightly different path by crafting crossover classics like Inner City’s “Big Love” and “Good Life.” But KMS wasn’t just an ideal launching pad for Saunderson’s music, it was also responsible for shaping the careers of R-Tyme, Blake Baxter, MK, Chez Damier, Derrick Carter, Bicep and even Saunderson’s son and regular DJ partner Dantiez. We had a quick chat with the Detroit legend what he’s achieved for KMS Records, his Paradise Garage influences, the Detroit scene, and why so many new tracks will get lost in time. You’re celebrating 30 years of techno this year. Looking back when you first started, did you ever think that you would come this far? When I first began making music and started my label, I had no idea how long the path would be. I set up KMS so I could have complete control over what I released and how I would release it. I could follow my own vision. I certainly didn’t have the foresight to think that 30 years later we’d still be going strong, having such a large catalogue of music from incredible artists, many of which have been tremendously successful in their own right. So no, I didn’t know at all! You collaborated with KiNK on “Idyllic” for the new EP. What about him do you feel matches your own production style and how did the track develop? Well I think KiNK has a certain grittiness to his music, a certain funk, a certain groove and it captured me. I was playing a lot of his music—it was always right in the pocket, so I thought my sound and his sound would make a good match. I had this idea for a song, created the raw materials for it, was playing it out here and there and thought it could be a good one to collaborate on. KiNK and I were in a conversation at the time so I sent this idea to him. He felt inspired by it and we got to work on developing it further. What are some of the important criteria do you look for in collaborators? I don’t do too many collaborations, but when I do, I gotta feel their music first. Be it the style or a certain element. You know, there might be someone where you are like, “They do great bass lines or great top lines, I could add my feel to that.” It all depends. I just gotta connect with what they do in some way and know that I wouldn’t go in and have to redo everything, creating 90 percent of the track or whatever. I want my collaborator to bring just as much to the table as me. Dubfire has now signed to KMS Records. What took you so long to get this started? Are there any legends you’d like to feature on the label? Timing is everything. Dubfire has been busy doing his music, touring the world, just like me. I guess our paths never really crossed like that. We only spoke together and played together a few times over the years, but we'd been talking recently and I feel that now seemed like the right time to get him on KMS, and he had just the track for it! It was a long time coming for the both of us. He’d always wanted to put something out on the label and I’m really glad we made it happen. There’s plenty of cats I’d like to feature—to be determined! As one of the influential pioneers that fronted the techno scene in Detroit, what are some of the significant changes you’ve noticed in today’s scene? Yes, I’ve been there since the very beginning when it was us black youths playing music mostly to black kids, music that was real progressive. This was happening in parallel to Chicago's house movement, which felt very connected to what Detroit was doing. The change we see now is that techno is mainly a worldwide movement, which was our hope and vision when we first started. We wanted the whole world dancing to four to the floor. Now we see this happening with new producers and DJs creating and playing all sorts of genres under the electronic umbrella. It’s very exciting to see such momentum going on. You’ve mentioned that you made records back then for yourself. Do you think your music or goals would be different if you were starting your career today? Yes I can see truth in this. I’m sure I’d have different musical influences. Back then, I was listening to disco and those early experiences at places like the Paradise Garage made me want to make four to the floor, make people dance. If I started today, I’d obviously be influenced by what's happening now, like most kids are. Also, there are many technological advances that may well have changed the way I approached music making and the learning process behind this. Back then I could only afford two or three keyboards and a couple of drum machines and that was good going. I had to really learn each machine, getting into the oscillators to create unique sounds, rather than having loads of different presets on your computer to play with. If I did, I may have a completely different ear to what I have now, liking different things as a result. The electronic music scene is so fast paced nowadays, singles are released every other day. Is it actually a good thing? I think it’s a good and a bad thing. Yes it is fast paced but discovery of and access to music is easier than it’s ever been. There're things like Shazam and streaming, meaning that so many more people can find and connect with a wider range of styles and sounds. I think this is very progressive. The downside is there is a lot of noise now, so you have to have a really good marketing and promotion strategy, which is expensive to help a song get heard. This means loads of good music can get lost! Back then, if you could get your record to the top 100 DJs, it would most likely explode. Now all the top DJs are swamped with promos, meaning it can take months for them to listen to your stuff. And even if everyone is, that’s still not enough to cut through the noise. When did you start realizing music could also become a career in the long run? It was around 1988, when I went to London for perhaps the third time. I remember it was the middle of the summer when “Big Fun” was kinda bubbling. I got a publishing deal at that time and I was starting to see the kind of money that I’d never seen before. That gave me the belief that I may have a shot at this and then, “Good Life” came out and I started doing pop TV shows, things like that, whilst also staying connected to the underground. It kinda felt like it was meant to be. I felt very blessed and still do to this day. Aside from Movement, what is the scene in Detroit like these days? Who are some of the upcoming talents you’d recommend? The music scene is small but still of very high quality. You get the original cats who come home to play three or four times a year, and we have on-point venues like the Magic Stick with great sound both indoors and outdoors; a proper club. There’s also the TV Lounge, which is smaller, a bit more underground and very cool. The only downside is most parties stop at 2AM. In terms of upcoming talent you have people like Kyle Hall and Jay Daniel, both great producers and DJs, then of course my boys Dantiez and DaMarii, making me proud everyday with their music, also Rob’s daughter Lyric is doing dope stuff with their Floorplan project and always impresses me when they play. Look forward to the next new breed! If you could give one valuable piece advice to new producers, what would it be? If you don’t love this, don’t do it, or if you are doing this for money, don’t do it. Only pursue this path if it doesn’t feel like work to you, as this will make it easy for you to work hard. Always be sure to be as creative as your mind will let you! Kevin Saunderson's KMS 30th Anniversary EP is out now. You can get your copy here.